I grew up in Southern California. 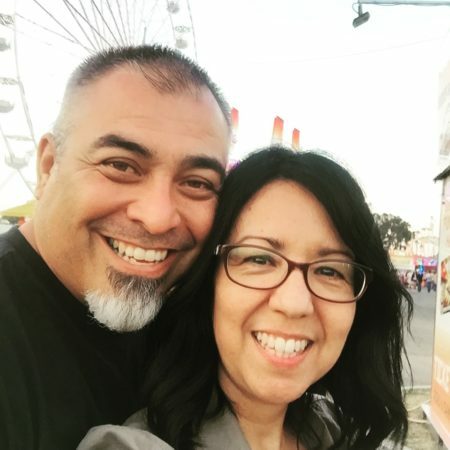 I came to faith in Christ in 1992 after being on the verge of divorce and began attending Calvary Chapel Chino Valley. In 1995 along with my wife Marisa and three daughters Sabryna, Jessica, Danielle, we followed God’s leading to Las Vegas where we began attending Calvary Chapel Spring Valley. Marisa and I served in children’s ministry and we were both invited to join the pastoral internship program. In 1997 an orphanage CC Spring Valley supported in the Philippines suffered the loss of five precious children and a newly built home in a devastating fire. Through this tragedy I had the opportunity to be part of a team sent to the Philippines to rebuild the orphanage. Three months later, I returned again and during this trip the Lord stirred my heart for the children and the ministry. Six months later, the our family was sent out from Calvary Chapel Spring Valley as missionaries to the Philippines. For the first two years, Marisa and I served at Rainbow Orphanage. In 2000, I began construction on a new Bible College/Training Center. During this time I also began helping with the youth ministry at Calvary Chapel Dumaguete. In 2004, I was ordained as a pastor and served there until 2011 when the Lord called our family back to Las Vegas. I served as the outreach and missions pastor at Calvary Chapel Las Vegas for the past 6 years. From the very beginning of our missionary journey, Calvary Chapel St. George partnered with the Camacho’s throughout their 12 years in the Philippines. This partnership has come full circle as the Lord called the Camacho’s to St George in 2017 where I currently serves as assistant pastor. We look forward to the great things God has in store.